Publishing emails is very handy, if you have them in xHTML format. 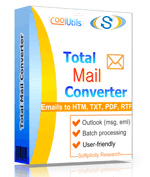 Total Mail Converter helps to convert EML to xHTML very easily. Even having no programming skills, you will be able to add HTML pages to the website successfully, as no additional coding is required for output xHTML copies. 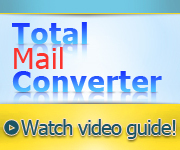 Total Mail Converter has a navigation pad that displays the content of your memory folders. There you can find the source EML files for conversion. As the program is able to convert EML to xHTML in batch, you can check off all the messages for one single conversion. After EML originals are selected, go to the format bar and press 'xHTML'. File name template helps to keep xHTML copies in the right order, sorting them by date or message subject. If you need a custom EML conversion without some message fields, just uncheck them in the 'Fields' tab. 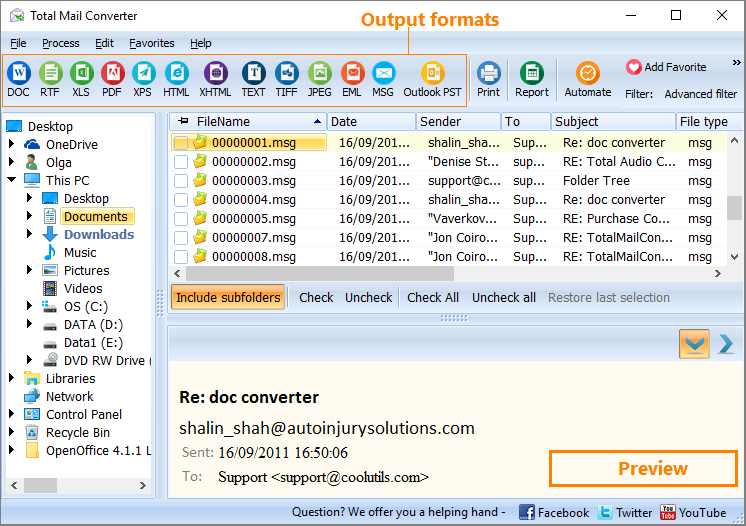 This batch EML converter can process attached messages too, saving them to separate folder or convert them to xHTML too. In the 'Appearance' tab you can apply some CSS scheme for the future xHTML message copies. This will help you to adapt them for specific website automatically. No need in additional coding after conversion is a big plus for saving your time. 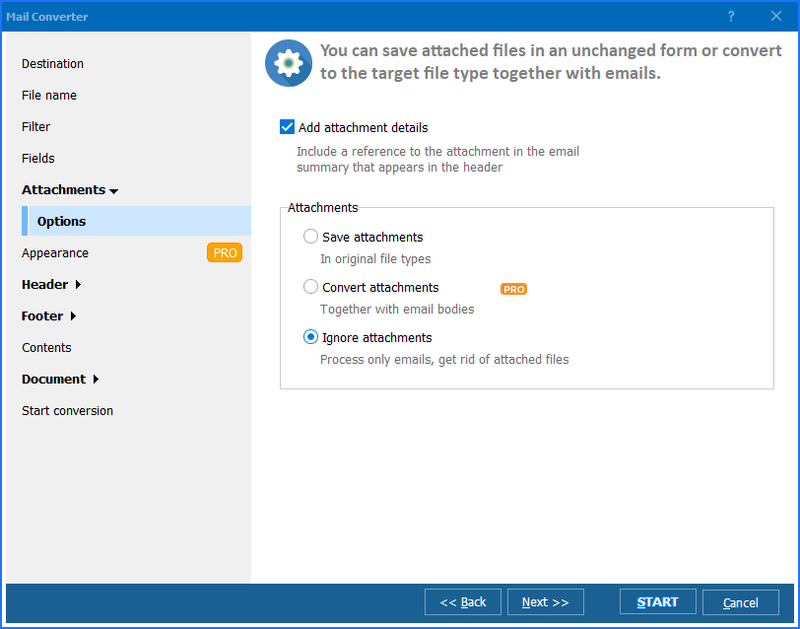 After conversion is done, the folder with converted files will be opened, and you can check the results right away. 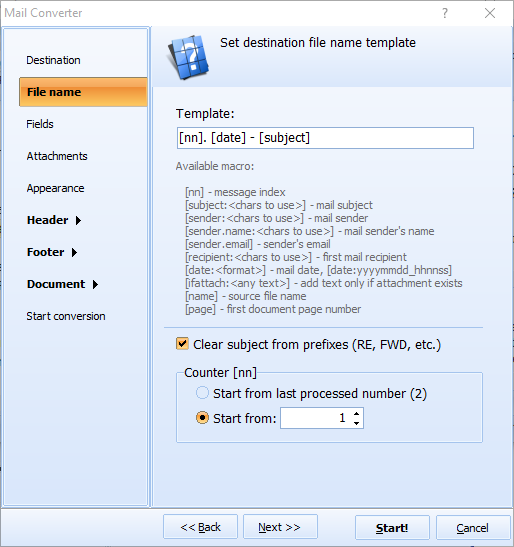 Total Mail Converter also has a built-in file viewer that helps to find source files quickly. Download the program in a trial version and convert your EML messages to xHTML for free during 30 days!